Amazingly light, yet incredibly warm. The Down Hugger 900 series. Utilizes premium down and incredible stretch for unsurpassed comfort and versatility. Every time you move or shift positions in your sleeping bag, the warm air trapped in the spaces between you and the sleeping bag also move, creating a draft. 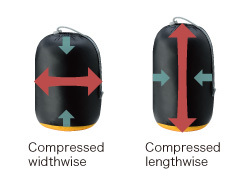 The problem: eliminate the amount of space between you and the sleeping bag, without making the sleeping bag too tight. The solution: make a sleeping bag that stretches. This way the sleeping bag lightly hugs you, eliminating spaces where drafts can occur but also stretches when you move around. 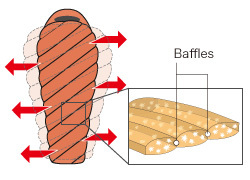 The warmth of a sleeping bag is determined by how much air the insulation is able to trap, which is proportional to the amount of insulation. The more down or synthetic insulation used, the warmer the sleeping bag becomes. But this also makes the sleeping bag heavier. 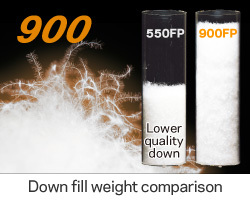 To address this dilemma, the Down Hugger 900 series utilizes premium 900 fill power goose down, which has larger down balls when compared to lower quality down. 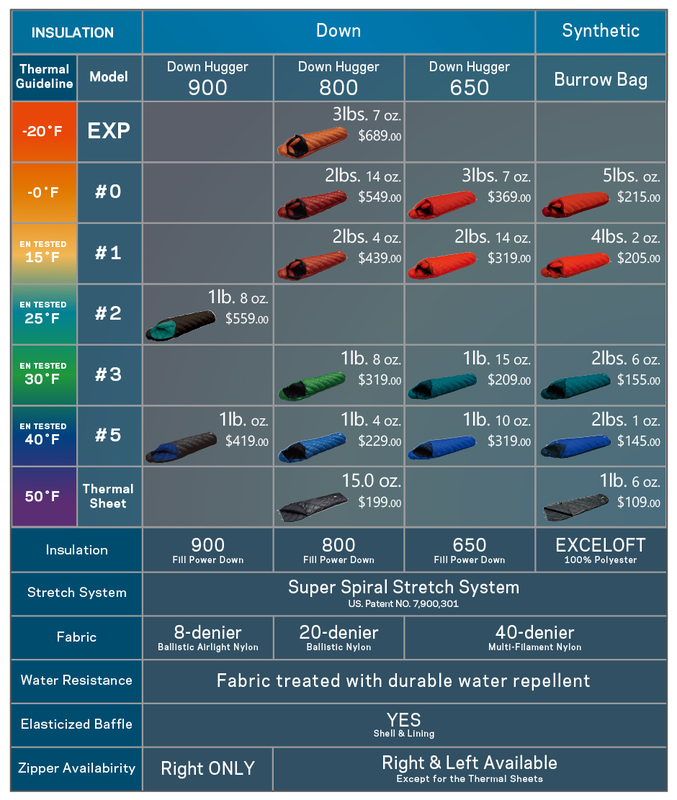 This means that superior warmth retention can be attained using less down insulation. Premium down also has better lofting properties and recovers better after compression. 900 fill power down has allowed us to create an incredibly lightweight and compact sleeping bag without sacrificing warmth retention. 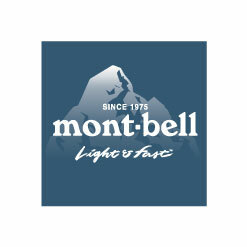 Montbell has adapted a classic tailor’s trick by integrating a woven fabric “cut on the bias”. By orienting the fabric’s warp and weft threads at 45 degrees to most major seam lines the sleeping bag becomes more fluid or elastic in nature. 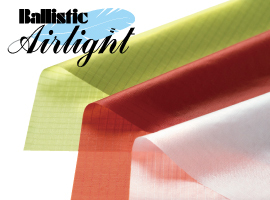 Additionally, to create an even more comfortable system we utilize an elastic stitch technique to create small “gathers” in the quilting. The strategic seam orientation and these elasticized gathers offer unrivaled fit and comfort. These gathers in the quilting are what draw the insulation closer to your body and minimize drafty dead spaces. 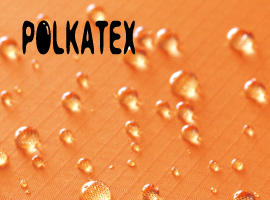 The greatest benefit to using elasticized sewing lines would be the “stretchy” nature of the baffles. These flexible baffles allow our sleeping bags to move with you as you change positions throughout the night. Utilizies the same bias cut fabric used for our Spiral Stretch System. Because the fabric stretches, it's possible to alter the shape of the sleeping bag to some degree so it fits in the available space of your backpack. The opening to the stuff sack is wider to enable easier stuffing. 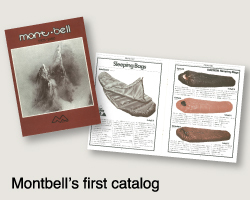 *A cotton storage sack is included with all of Montbell's down sleeping bags for storing the bag long term uncompressed. Storing down sleeping bags uncompressed in the cotton sack prevents the down from losing its lofting abilities.